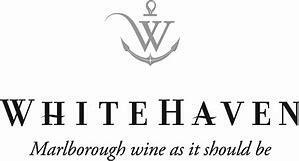 Established in 1994, Whitehaven is a small boutique winery located in the world-renowned Marlborough region of New Zealand. Nestled in the Wairau and Awatere Valleys, Whitehaven grapes bask in warm sunlight and cooling breezes from the New Zealand coast, coaxing bright flavors and crisp acidity from the vines. Whitehaven Winemaker Sam Smail has earned a reputation for crafting distinctive Sauvignon Blanc from this sought-after fruit.